Here is a flavonoid that you may be unfamiliar with: apigenin. This flavonoid is found in a number of herbs and in celery and artichokes. Herbs high in apigenin include peppermint, parsley, thyme, chamomile, and oregano. Like other flavonoids, apigenin exerts antioxidant, anti-inflammatory, and anti-tumor effects in the body. Apigenin may also play a role in preventing the formation of uric acid, helping to stave off the symptoms of gout. What do clinical trials say about the health benefits of apigenin? One trial looked at apigenin’s ability to help ease depression symptoms. In this animal study, researchers looked at the effects of apigenin on the behavioral despair test (forced swimming test) in mice. The research team determined that apigenin behaved like an antidepressant by stimulating dopamine—one of the brain’s most important neurotransmitters. When you consume a food high in apigenin, the compound enters the body in the form of glycoside. It’s only when glycoside is absorbed into the gastrointestinal tract that it is converted to apigenin. For this reason, the epithelium of your gastrointestinal tract is often subject to higher levels of the flavonoid than any other part of your body. This could explain apigenin’s ability to fight off gastrointestinal cancers. Apigenin has been found to stop the spread of gastrointestinal cancers by inducing apoptosis and hindering the creation of new blood vessels that help tumors to grow. Apigenin also exerts some pretty specific and unique effects that change the way cancer cells behave. Apigenin prevents glucose uptake in cancer cells, starving the cells of extracellular fluid. The flavonoid also stops cancer cells from clumping together, preventing the cells from behaving in a way that allows a tumor to grow and spread. Just recently, researchers have shown that apigenin has been able to kill off human pancreatic cancer cells. The research team from the University of Illinois first treated aggressive human pancreatic cancer cell lines with apigenin and found that the compound induced cell death. Then the researchers pre-treated pancreatic cancer cells with apigenin for 24 hours, followed by a chemo drug called gemcitabine for 36 hours. By using the flavonoids as a pre-treatment, the researchers were able to make the most of both apigenin and gemcitabine. Taking antioxidants on the same day as a course of chemo drugs can significantly reduce the effectiveness of the drugs. However, when the cells are first doused with apigenin, the antioxidant effect has time to go into action well before chemo drugs are initiated. Chemo drugs also exert antioxidant effects in cells. The researchers theorize that when apigenin is given ahead of gemcitabine, the two don’t have to compete with one another but can do separate jobs in stopping cancer cell growth. Pancreatic cancer is particularly worrisome as it spreads quickly and silently—there are often no symptoms in the early stages of the disease. 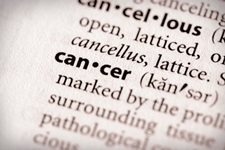 The cancer cells have usually already spread before a diagnosis can be made. The five-year survival rate for pancreatic cancer is about seven percent. These types of treatments offer a lot of hope for pancreatic cancer patients, and will hopefully make strides in the fight against cancer. Nakazawa, T., et al., “Antidepressant-like effects of apigenin and 2,4,5-trimethoxycinnamic acid from Perilla frutescens in the forced swimming test,” Bio Pharm Bull. April 2003; 26(4): 474-80. Lefort, E.C., et al., “Apigenin and its impact on gastrointestinal cancers,” Mol Nutr Food Res. January 2013; 57(1): 126-44.